Heidi Chung Choose your favorite items and add them to your cart. Ensure that the product total is more than $75. Then, go to the checkout page. Fill in your address and shipping information. 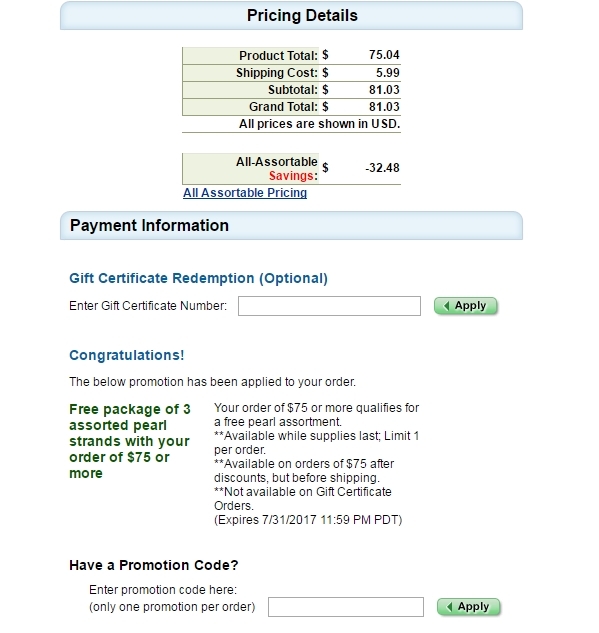 On the payment information page, you will find a box above the payment details. Enter the code and click apply.